A: My current Leica equipment is the M-240 and S. For the work in Ladakh, India I used the M-240, Vario-Elmar-R 80-200 mm, M MATE 28-35-50 mm and Noctilux-M 50 mm f/0.95. The camera is as powerful a tool for serving others as it is for individual expression. 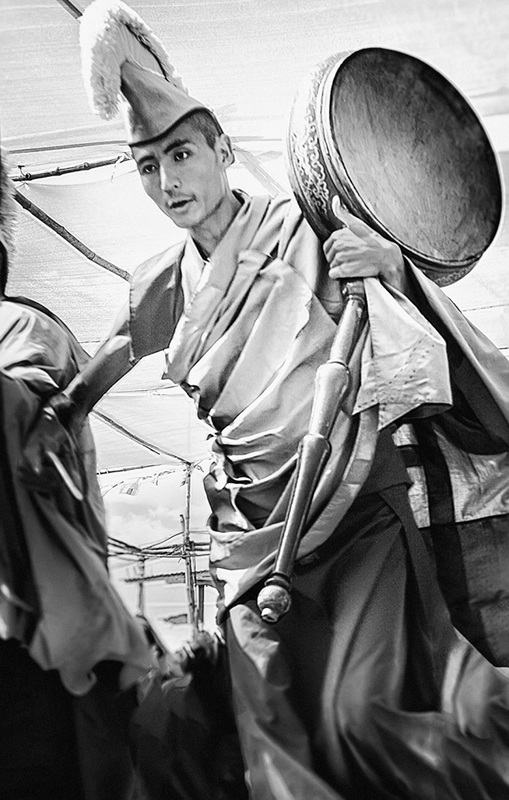 A: These images are from a 16-day journey to Ladakh, India during the Kalachakra Ceremony when 150,000 ethnic Tibetans gathered to hear teachings of Tenzin Gyatso, the 14th Dalai Lama. 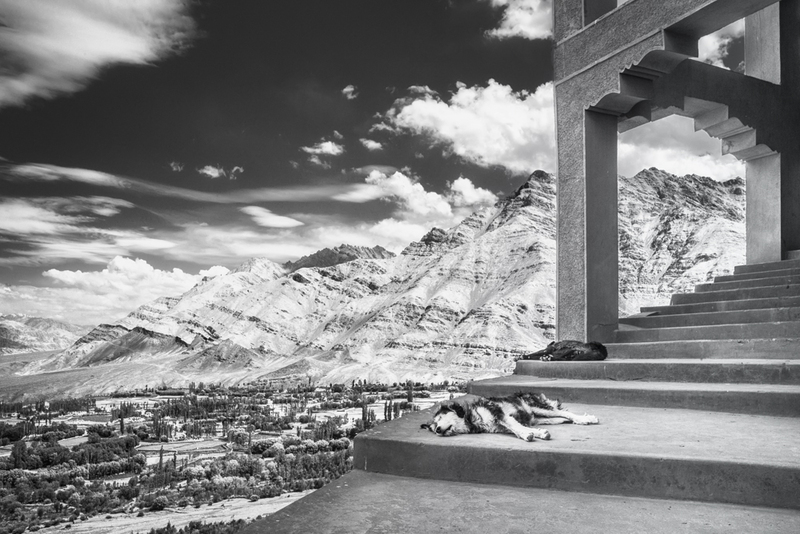 I initially crossed paths with fellow Leica M photographer Christopher Michel in Delhi on the way to Ladakh. 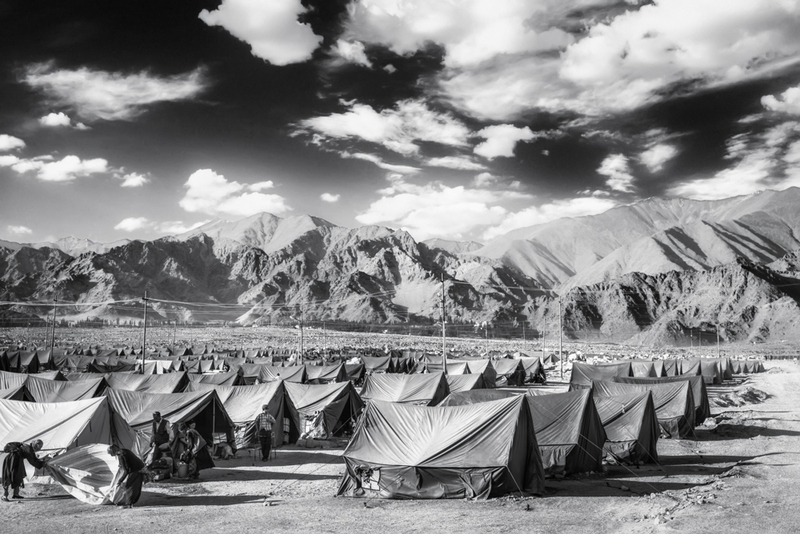 Over the course of the next two weeks we photographed the event, phenomenal culture and landscape of Ladakh. 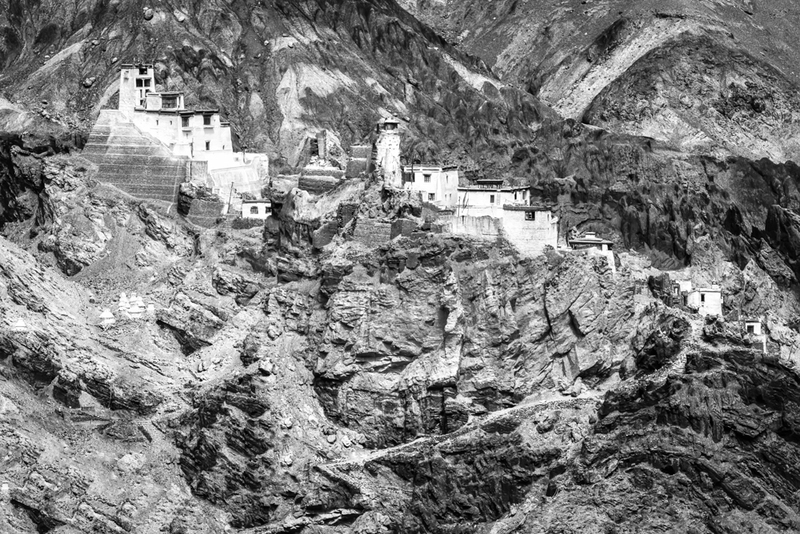 After returning to the US a month later, I spotted an article about Christopher’s beautiful work in Ladakh in the Leica Camera Blog, which inspired me to suggest a collaborative show to benefit the preservation of Tibetan culture at Tibet House US in New York. 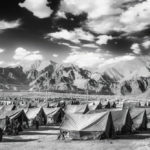 A: The images in this portfolio are luminous black-and-whites reflecting the majesty and mystery of Ladakh and the myriad people who were briefly gathered there in July of 2014. Q: Are you a full-time photographer or would you describe yourself as a serious enthusiast? A: I am a ceaselessly inspired artist using the digital media of photography, illustration and animation. A: Photography was one of my grandfather’s passions so it was always a part of my family’s life. Though I had very strong early interests in film photography, I spent ten years as a painter during the time photography was changing from film to digital. In the end, I had to switch from pigments to pixels. Photography proved to be a much more powerful, flexible tool for creative expression and exploring the world. A: Over the last eight years I have studied with a number of teachers as I learned the intricacies of the digital workflow. My primary technical influence is John Paul Caponigro. A: The genres I actively explore are conceptual minimalism (lumenography), day and night street photography both constructed (lumengraffiti) and discovered, classic landscapes, people, flora as well as advocacy/humanitarian work. A: My grandfather purchased his first Leica in 1936. Leica cameras have been my family’s way of recording the experiences of life and beauty of the world ever since. When I took my first darkroom class in high school and began to get serious, my father pulled my grandfather’s engraved SL2 Leicaflex off the shelf and put it in my hands. The luminosity of the split-image rangefinder and simplicity of the mechanisms educated my eye and way of seeing. A: I try to get out of the way and let the camera mirror the illuminated world. The best shots come from intuitively seeing. I’ve learned to trust hunches. Stop and take the shot, take time to decide later if it was worth it. My job is to optimize the exposure, the angle and engage with the subject as needed – to be there, but also to get out of the way. My interest in light begins with inner light – idioretinal light – that exists in the mind without external electromagnetic waves, similar to dream-light. I precisely draw these visions of inner light and photograph the drawings for my minimalist conceptual work, which I call lumenography. My interest in luminosity continues outward to the visible world and onward around the world to explore how light and life connect. 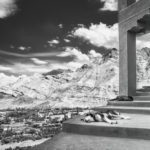 Q: Evidently you shot all the pictures in this Ladakh portfolio with your Leica M, yet they were all output in black-and-white. 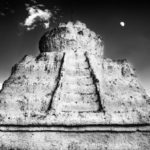 What draws you to the B&W medium and why do you feel it was especially suitable for creating this project? A: I’m mesmerized by luminosity, reflected light. All of my work is B&W because the monochrome palette reduces all images to their essence. 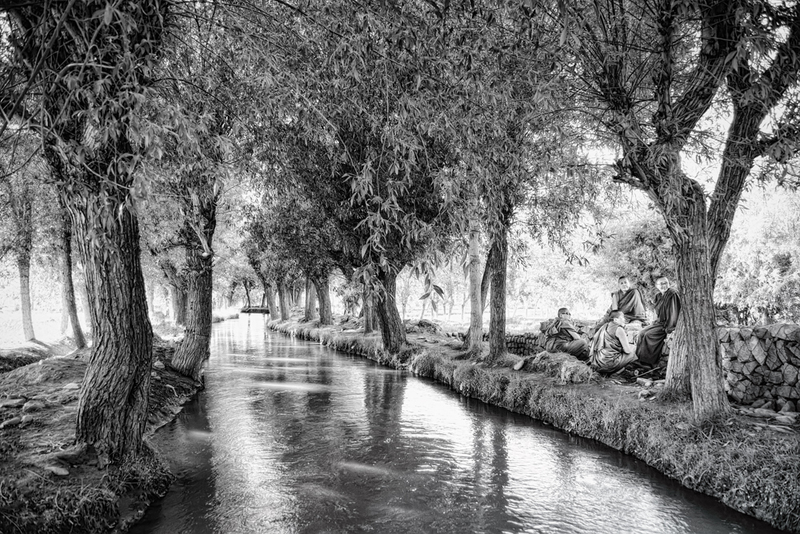 The M-240 captures images with rich contrast so the original color files convert to crisp B&W. Q: As a long-time user of a wide variety of Leica cameras, what do you feel is the underlying philosophy that makes them special? Do you feel that there is a distinctive and discernible way that Leica lenses render the image – the so-called Leica look – and if so, is that important to you? A: I would characterize the Leica Look as luminosity. Images made with the older R lenses exude poetic luminosity, while M lenses are a balance of luminosity and precision sharpness. S lenses capture bright, intricate detail and are a critical tool for my conceptual workflow. It is important to have a sense of the different degrees of luminance that are the signature of each system. 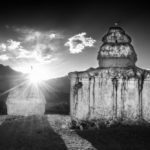 Q: How do you think your two-year stint in the darkroom and ten years as a painter have influenced your approach to digital photography? A: Aligning the enlarger, learning to burn and dodge by hand and watching a handcrafted image emerge in the developer are essential to understanding the alchemical heart of photography. Film is a demanding teacher and I wouldn’t trade my time in a darkroom for anything, but I suppose I stopped because I’d pushed it as far as I could at the time. 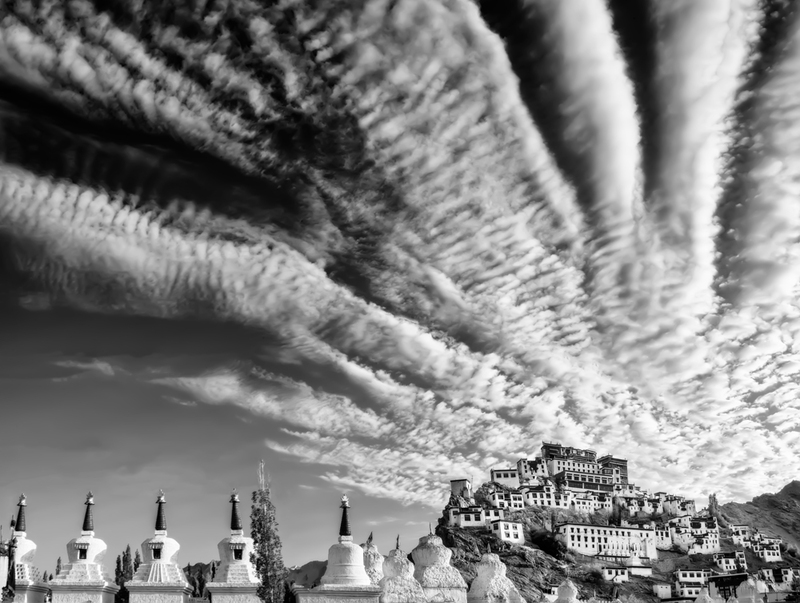 Q: The amazing image “Cirrus Above Thiksey” seems to capture the spiritual dimension of the place to a remarkable degree thanks to the luminous light and the splendid radiating cloud formation above what looks like a religious citadel on a hill with monuments arrayed in the foreground. The dynamic composition certainly helps to articulate this vision. Can you tell us why you composed the picture in this way? 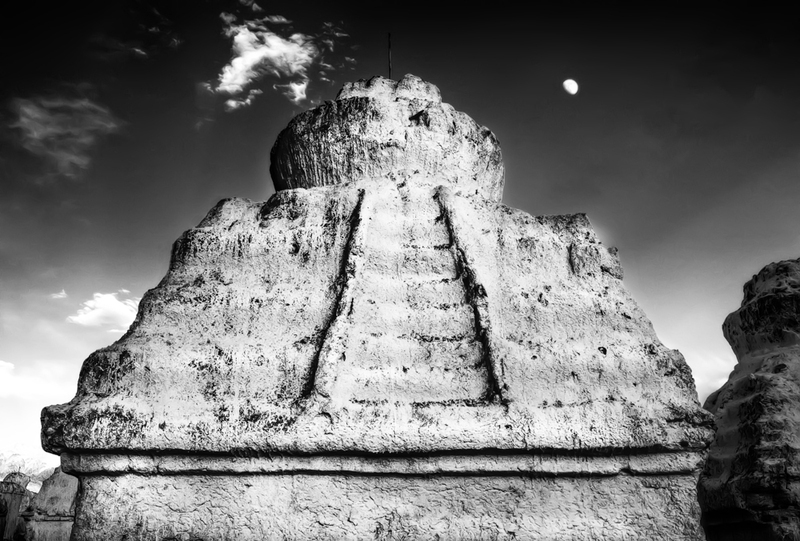 Q: The luminous light is a key element that takes the image labeled “Bright Stupas, Curved Road” to another level, and the masterful composition with the curved road in the middle creates a dynamic that energizes this serene tableau. 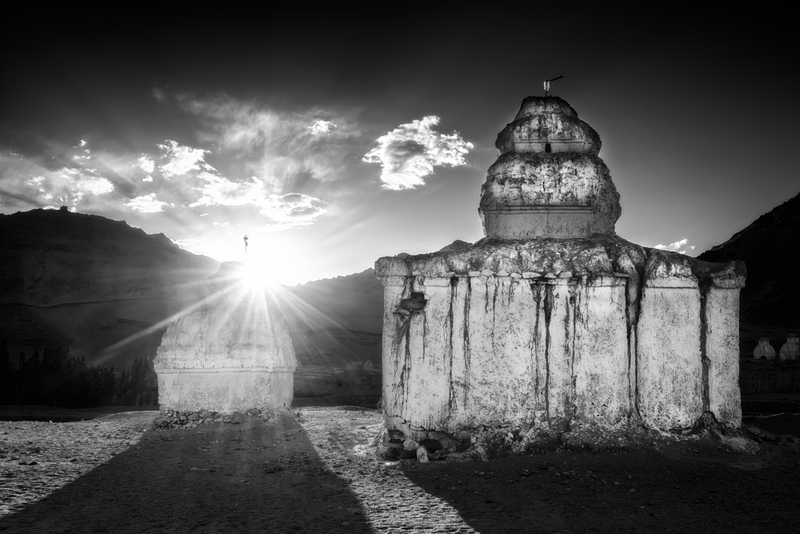 Do you think there is something special about the quality of light in Ladakh and did you do anything special in exposing the frame or in post-production to enhance this effect? 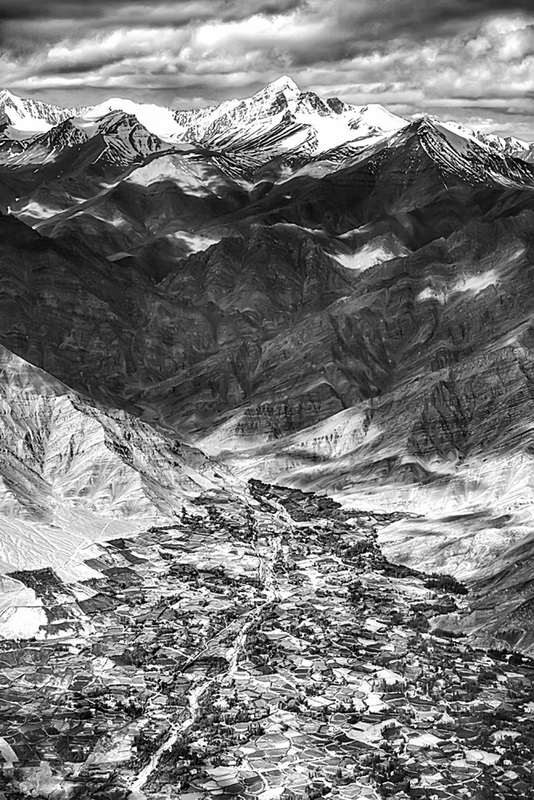 A: The mid-day light of Ladakh has a piercing clarity bordering on blinding brightness. 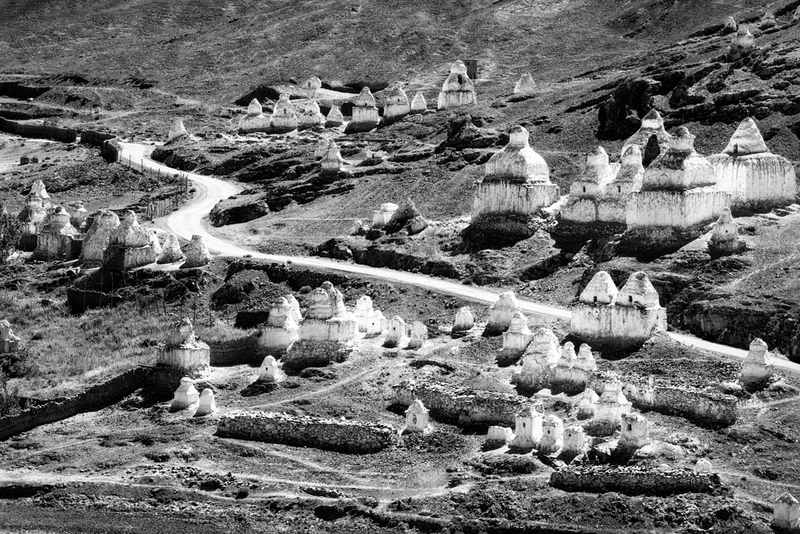 The elevation in “Bright Stupas, Curved Road” was approximately 8,000 feet, which is the same elevation and high desert atmospheric character as our home in New Mexico. I was very familiar with the unrelenting nature of this light, which is one of the benefits of shooting in many different parts of the world, day and night. 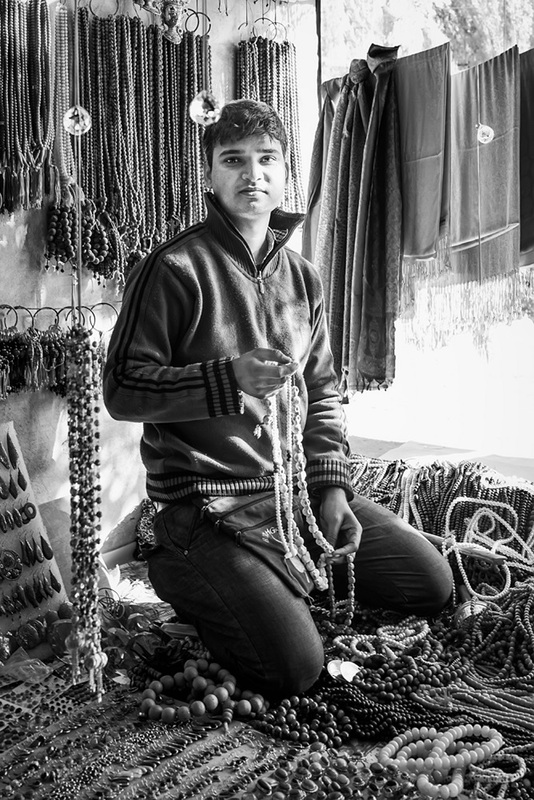 Q: “Mala Seller” is a lovely and sensitive portrait of a young man in a stall selling beads, tapestries, etc. The lighting is superb, and his expression is one of benign presence. A: This image always makes me smile. 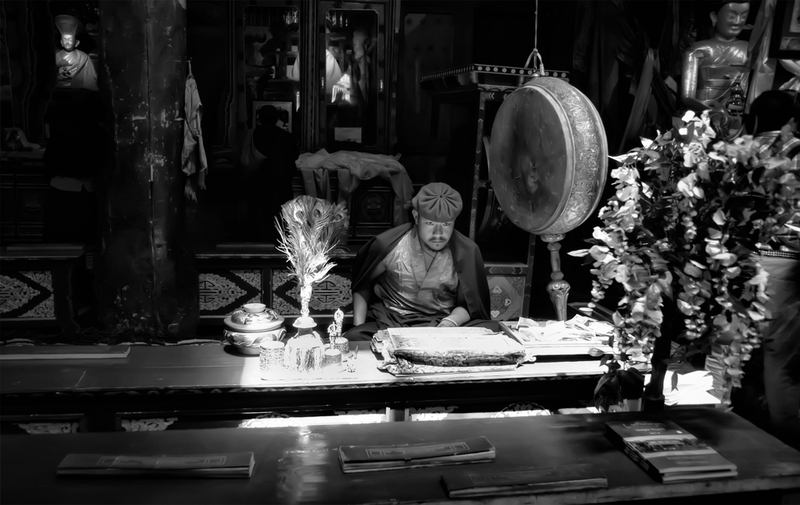 I had a wonderful conversation with this soft-spoken merchant who had traveled a long distance from Bodh Gaya to sell his spiritual wares in the dusty Tibetan market just outside the Kalachakra event in Jiwetsal, Ladakh. He was patient while I adjusted the exposure to allow for the extreme shadows and rays of light. It was only later I saw the crystals suspended mid-air. I suppose they were good fortune for both of us. 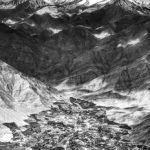 Q: “Moon Above Leh” is a beautiful picture of what looks like a fairly sizeable town nestled amidst the jagged peaks of high mountains with the moon rising in the sky. 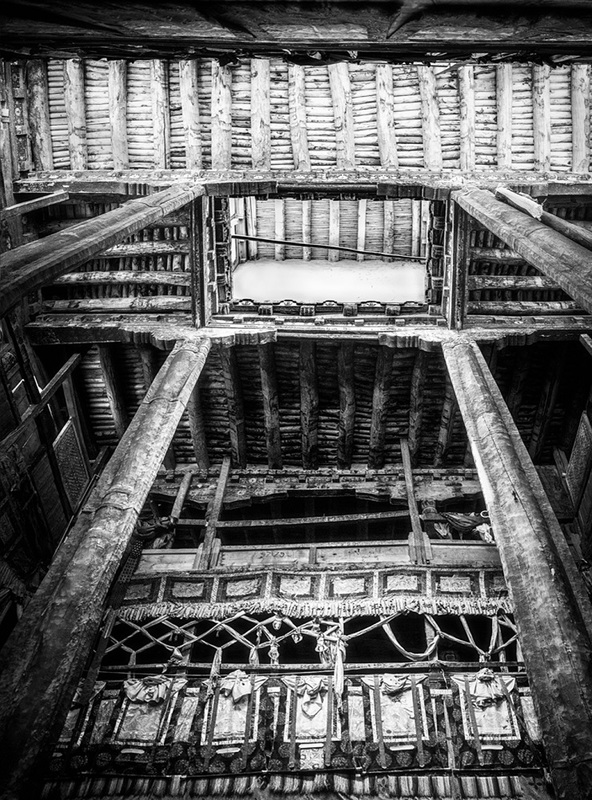 Can you tell us something about it and what prompted you to capture this engaging image? A: A friend suggested we climb to the top of a nearby building which gave us fresh air and a stunning view. 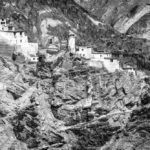 The narrow streets of Leh, the capitol city of Ladakh, were festooned with prayer flags and ringed by jagged ridges surmounted with mosques, monasteries and more prayer flags. The rising near-full moon seemed so cool and serene above the maze of humanity that is Lehtown. Q: “The Oracle’s Drummer” is an amusing and unlikely image. What is the function of this amazing person, who is the Oracle, and how did you come to take his picture? 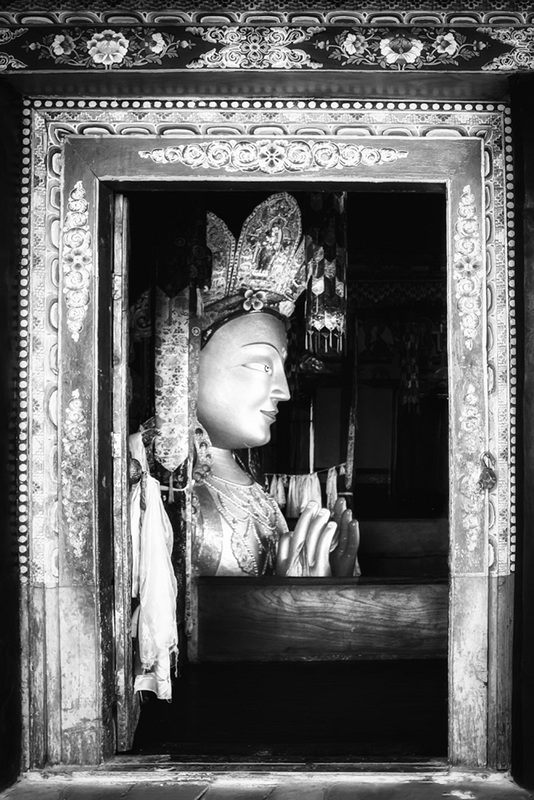 A: This image was made at the Kalachakra. 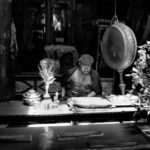 The Nechung Oracle, the state oracle of Tibet, had just rushed by on the way to deliver a ceremonial message to the 14th Dalai Lama. As the Oracle departed I was able to capture an exposure of the Oracle’s retinue in fast pursuit. This image of “The Oracle’s Drummer” is an example of staying ready even when it seems the moment has passed. 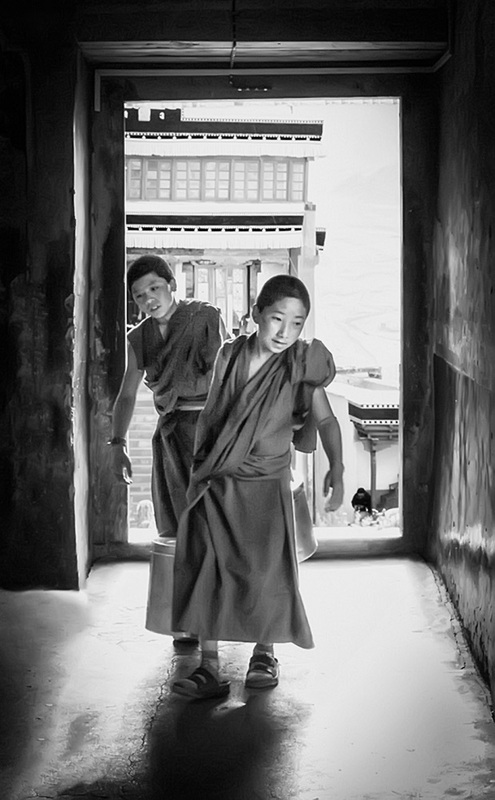 Q: “Two Young Monks” is evidently the thematic image for this project, and it embodies a feeling of innocence and anxious anticipation as the young initiates embark upon what is likely to be a challenging spiritual journey. A: Between ceremonies and meditations monks perform simple daily tasks to upkeep the monasteries. This work practice is perhaps as important to the spiritual journey as their studies. I was standing in the dark entrance to a gompa (temple) when two young monks came in carrying heavy pails with the equanimity and happiness that are the characteristic of the philosophical path of Buddhism. The fantastic resolution of the M-240 allowed me to capture detail in the deep shadows of this image. 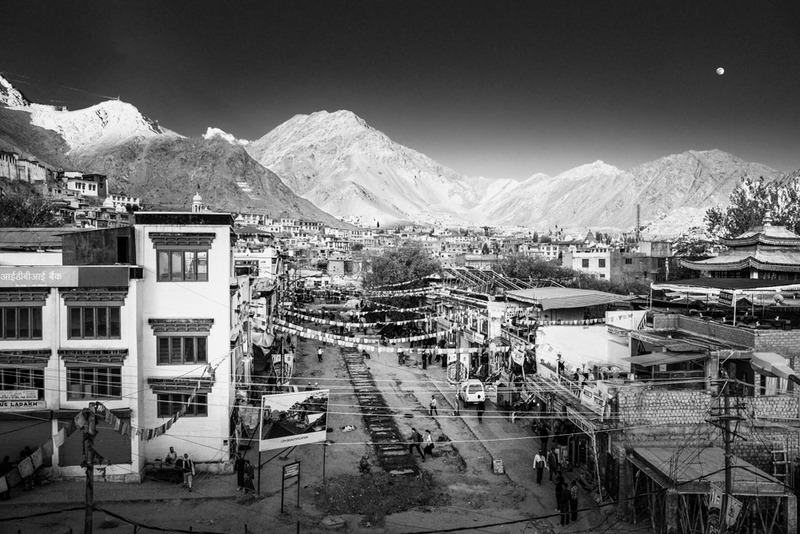 Q: Can you tell us about any other projects you have in the works for 2015 such as your planned return trip to Nepal? A: I work domestically and internationally every year. Upcoming journeys include Nepal, Japan, India and possibly England. Every place is exotic to someone somewhere, so keeping an eye out the studio window is just as interesting as long-distance travel. But the most important ongoing project is the soul-work of photography: staying grounded, fresh, and ready for inspiration anytime, anywhere. Thank you for your time, Cira! To see more of Cira’s work and learn about her exhibition, check out her website.